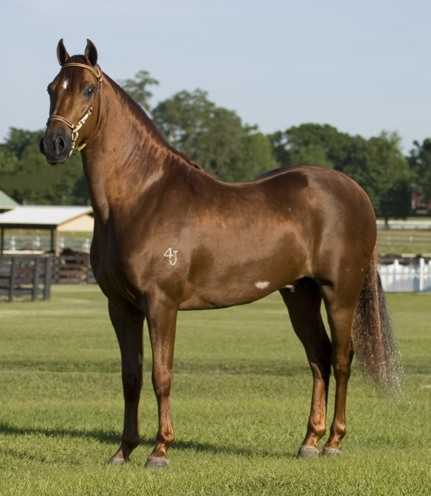 Marinero is a stunning bright copper stallion with correct movement and excellent bloodlines. His disposition is excellent and his conformation is very correct. 2013: Awarded Legion of Merit; FRPFHA Spectrum Reserve Champion Performance Stallion; FRPFHA Spectrum 2nd Place Performance Stallion. 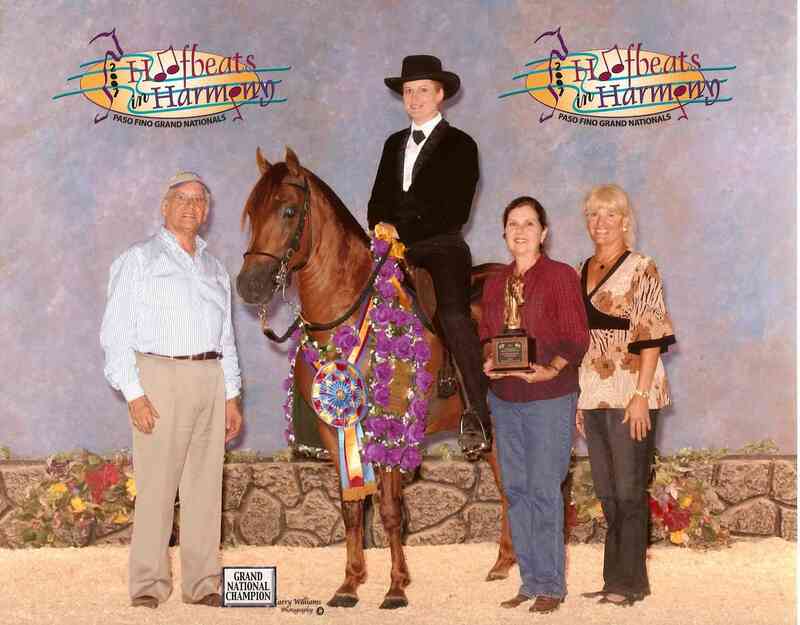 2009: PFHA National Champion Performance Stallion; Reserve Grand National Performance Stallion; National Champion A/O Performance Stallion; Reserve Grand National A/O Performance Stallion; SRPFHA The Ocala Classic 1st Place Performance Stallion; Champion Performance Stallion. Spectrum Champion A/O Performance Stallion; Spectrum 2nd Place A/O Performance Stallion. 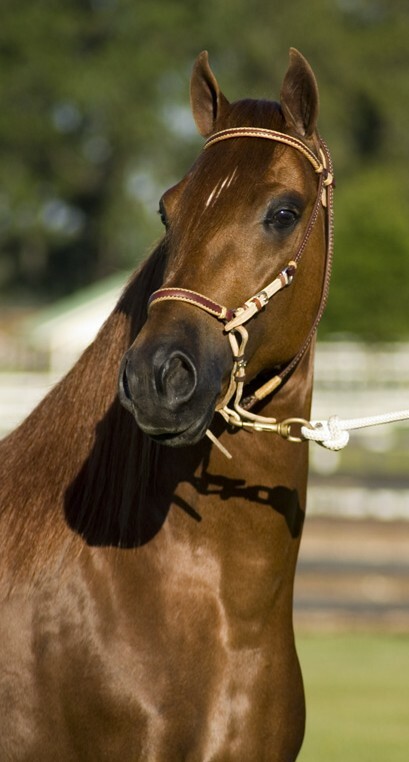 2008: FRPFHA Spectrum 2nd Place Performance Stallion; Champion Performance Stallion. SRPHFA February Carnaval Champion Performance Stallion; SRPHFA February Carnaval 1st Place. Performance Stallion; 2008 PFHA Third Grand National Champion Performance Stallion; 2008 PFHA Reserve National Performance Stallion; IPHF Grand Champion Performance Stallion; IPHF Reserve Champion Performance Stallion 78 mo. & older. 2007: Confepaso Mundial World Grand Champion Performance Stallion; Confepaso Mundial 1st Place Performance Stallion; PFHA Grand National Champion Performance Stallion; 3rd National Champion Performance Stallion; SRPFHA February Carnaval, 1st Place Performance Stallion, Champion Performance Stallion. FRPFHA Spectrum 1st Place Performance Stallion; Champion Performance Stallion. SRPFHA Extravaganza 1st Place Performance Stallion, Champion Performance Stallion. 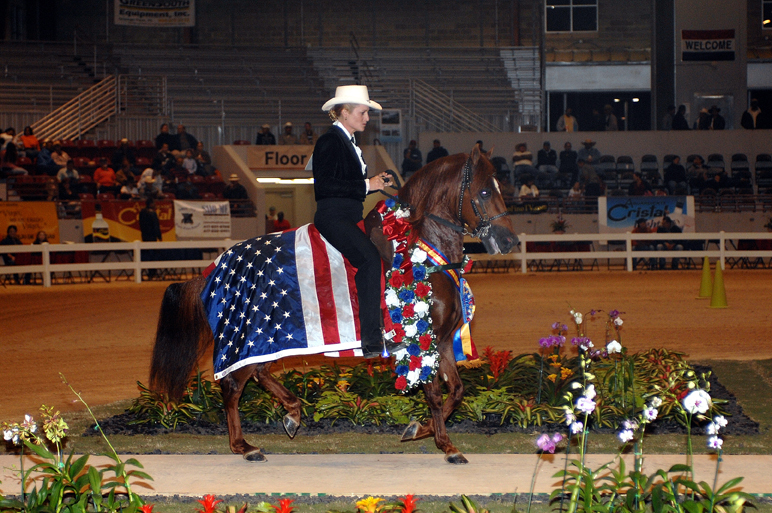 2006: Ocala, Florida February Show 2nd Place Classic Fino Stallions; SRPFHA Extravaganza - 1st Place Performance Stallions, Reserve Champion Performance; PFHA 3rd Grand National Champion Performance Stallion; Grand Prix Tampa, Florida, November - 1st Place Performance Stallion; Reserve Champion Performance Stallion. 2005: FRPFHA Miami, Florida January Show - 2nd Place Classic Fino 4 Y/O Schooling Colts; Ocala, Florida February Show - 1st Place Classic Fino 4 Y/O Schooling Colts; SRPFHA Extravaganza 1st Place Classic Fino 4 Y/O Schooling Colts; PFHA 3rd National Champion Classic Fino 4 Y/O Schooling Colts. 2004: FRPFHA Miami January 2004 Show - 1st Place Classic Fino 3 Y/O Schooling Colts; Ocala February Show - 1st Place Classic Fino 3 Y/O Schooling Colts; FRPFHA Spectrum 1st Place Classic Fino 3 Y/O Schooling Colts; SRPFHA Extravaganza 1st Place Classic Fino 3 Y/O Schooling Colts; PFHA 3rd National Champion Classic Fino 3 Y/O Schooling Colts.